Nikon has just announced a new lens for the Z6 and Z7 cameras: the NIKKOR 14-30mm f/4S. This lightweight, ultra-wide zoom is in line with the lens roadmap released by Nikon last year and shows a stark contrast with Canon’s approach to new glass for mirrorless bodies. This is certainly a small lens: at a mere 3.5-inches long when retracted, and weighing in at only 1.07 lbs (485 g), Nikon is clearly tapping into the idea that mirrorless users appreciate smaller, lighter lenses, even if that means making a few compromises along the way. 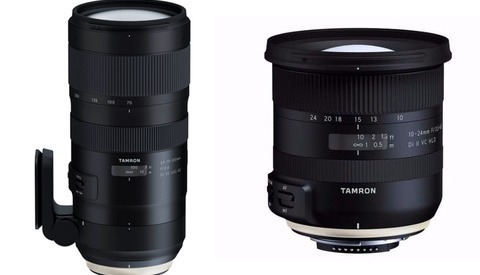 If the success of the Tamron 28-75mm f/2.8 for Sony’s mirrorless cameras is anything to go by, the market is happy to forego some “pro” aspects if it means affordability, a small size, and less weight to carry. This might be where Nikon is making a mistake: at just $879, the Tamron 28-75mm is a lot of lens for very little money; the NIKKOR 14-30mm is still going to cost you well over a thousand dollars. As Jared Polin points out, pro shooters expect f/2.8, and f/4 should mean that the price reflects this. At a shade under $1300, many might wait for the price to drop before investing, preferring to stick with their existing glass via an adapter. As Ted Forbes of Art of Photography notes, the lens does seem to offer excellent edge to edge sharpness, and landscape photographers have plenty to be excited about. They don’t need such fast glass, will appreciate the light weight, and will love the fact that this new lens will accept a filter on the front. Many lenses of this focal range have a bulbous front element, making filters somewhat awkward, and Nikon has worked hard to resolve this. While Canon and Sigma seem to be busy creating huge, expensive lenses, Nikon seems to be of the opinion that early adopters would prefer affordability. With the exception of the NIKKOR Z 58mm f/0.95 S Noct, Nikon’s releases this year are much more conservative: their primes are all going to be f/1.8 and Z6 and Z7 shooters won’t be able to complete their holy trinity (wide zoom, standard zoom, telephoto zoom) of f/2.8 until 2020. Is Nikon choosing the right path here? It doesn’t create as much drama but it might make the Nikon Z line more accessible to those switching to mirrorless, especially given the dramatic improvements when it comes to shooting video. Your thoughts in the comments, please! Assuming absolute top image quality (definition, distortion, etc) I would say that the vast majority (90%?) of the 14-24mm use cases would be completely satisfied with a f/4 lens, cheaper, easier to carry (lighter, smaller) and that accepts regular filters, because for that big majority a shallow depth of field is not required (they want everything in focus) and long exposures are not an issue (they use a tripod). Those who need a f/2.8 aperture just will have to wait and pay a bit more. It is good Nikon is serving both use cases. It is natural that Nikon prefers to give priority to the satisfaction of 90% of the needs. The title is a little click bait to me. 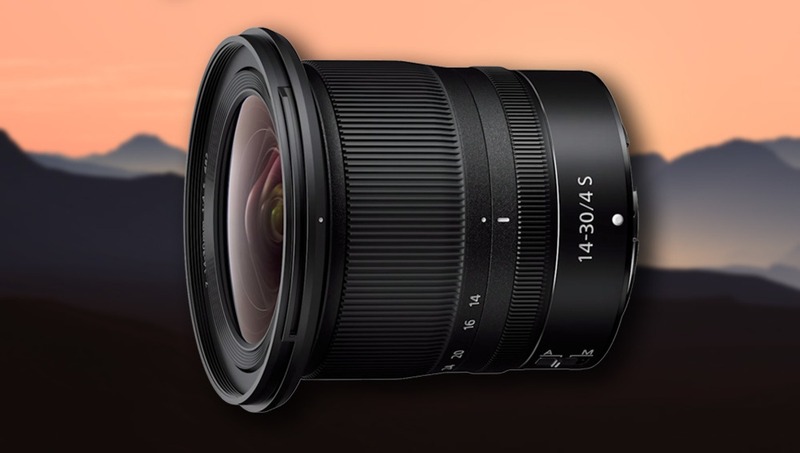 Compare the price of this lens to the Sony: Sony 12-24/F4 - $1699. 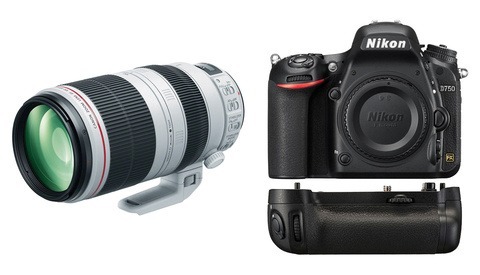 Nikon 14-30/F4 - $1199 and the Nikon S Optics will trump it. Sure there are off-brand lenses that are cheaper but that is not unique to Nikon. They are making are arguable smart move here - delivering a high performance lens that will cater to the smaller and lighter audience of the market for these new bodies. The 2.8 version will follow, but will sell less quantity. The quality of the S line 24-70mm optics is stunning. Having shot with it now next to my traditional F mount lenses it is quite amazing. I have no reason to doubt this lens will deliver similar performance with the added advantage of accepting filters (which the 2.8 version likely won't). To me it is a no-brainer to add it to my kit. You lost any credibility by name dropping two of the biggest clowns on Youtube. C'mon, use a little grey matter and foot work and synthesize your own analysis. It seems to be a brilliant lens at a very decent price for a premium make. As noted in the article, f4 and IBIS solve a lot of problems and the ability to take filters makes landscape shooters weep with joy. The lighter weight does not make them sad either. F 2.8 would lose all those advantages for one improvement at a huge increase in cost. I like the smaller, lighter lenses Nikon is coming out with, and will likely buy a Z6 rather than an EOS R because of them. I have zero interest in using an adapter, which only adds back bulk and weight which I'm trying to shed with mirrorless in the first place. And I doubt I'm the only one who feels this way. Years ago, I fell into the "pros" use 2.8 glass and "armatures" use slower, variable aperture lens camp. I've grown up since then. If you can't get professional results with this lens, the reason is that you are not a professional. 2.8 glass has its place but it's not always the best choice. When it comes to wide angles like this, other than Astro photography, my experience has been a smaller, lighter, filter compatible lens will deliver the goods more often than not. I will be selling my Nikon 17-35 f/2.8 and getting this lens for landscapes and automotive rig shot as well as the upcoming 20mm f/1.8 for Astro. Too expensive and not fast enough? So... you wouldn’t pay an extra 200 USD for the 16-35 to be way sharper, lighter, smaller, quieter? Okay. Whatever. I have a Z6 to be lighter than my DSLR. No point in having a gigantic f2.8 lens in front of it, most of the time. More expensive that a potential equivalent? Of course. Because they can, that’s the premium some are willing to pay to be 99.99% sure that their lens won’t at some point prevent their camera from going to sleep, that af fine tune will always work, etc. You need to look at the whole package you’re buying. "Nikon seems to be of the opinion that early adopters would prefer affordability." Uh huh... That's why their first camera out of the gate was $3400. The 50mm f.95 was a huge waste of time and resources, is impractical, and doesn't "wow" me because no AF, it's huge for a 50mm, and will cost bunches. Nikon has this 14-30mm but then they'll release the 14-24mm later nearly duplicating the same focal range at f2.8. Other than the fact the 14-30mm will accept screw-in filters I don't really see the reasoning behind this strategy so early on... lead with the f2.8 lens first. What wows me is the nice set of f1.8 primes Nikon has built up for the F mount. All they're missing is the 135mm f1.8, but Sigma beat them to it and the Sigma 135mm f1.8 Art is freakin' awesome. I'm sticking with the F mount for the foreseeable future. I've been using Nikon equipment for over 40 years. I've also been using Leica for almost as long. My first 35mm camera was a Ricoh TLS401 (go look that one up) With mind, here are my thoughts. Compared to the Nikon "pro" bodies, the Z models are much more compact but offer for all intents and purposes same or better image quality. I know this first-hand to be true as I got one of the first Z6 models released using my NPS membership. The 24-70 lens and adapter work phenomenally well. I'll likely never ever spring for another DSLR again. It does have issues that I know will be fixed by firmware upgrades and better design in follow up models. Focus can go awry on moving subjects if contrast or light levels are low. Still, it shoots 12 frames per second and you pretty much always get your shot. So, I've got a 16-18-21 f4 Tri Elmar that is significantly smaller than the S Nikkor. It's a fabulous lens. One of the best WA's I've ever used. Manual focus, manual everything. Way smaller than the Nikkor but it's $5000 too. $20 adapter allows it to fit on the Z. What could be better? Answer is... The newly announced 14-30. Reason? Manual focus using evf quickly is a pain if you are wide open and focus is critical. Leica rangefinder patch is way quicker. You can check composition via the evf after nailing focus. Clearly slower but a much smaller profile. For a working professional, these things are just tools and not any one thing is best for everything. I use the Leica gear when it fits the need. Less people pay attention to smaller form factor. Less to carry. Slower to use. Nikon Z body has small form factor, but needs larger lens body to contain all of the automated functions. Much faster to use with autofocus and long lenses work fine. I'm not sure what much of the 2.8 vs 4 is about really. If you need a shallow focus, one stop on a WA lens doesn't offer much. In the film days it was important to have ultrafast lenses because film does have speed limitations. Electronic sensors get better and shooting at 50,000 ISO is easily done and gives better results than Tri-X pushed 4 stops. For most purposes a person doesn't need an extra stop. 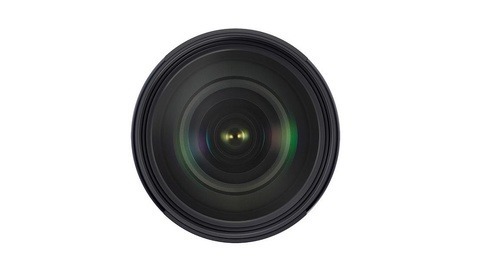 Imagine if a "Pro" Z series body appears about the same time the 2.8 lenses. Think people will buy a smaller form factor body that will outperform the last DSLR offered? Offered with faster lenses and an adapter that allows all the older F lenses. It's a no brainier yes answer. I am totally fine with the F4 and the price. I don't need 2.8 for ultrawide zoom. For astro I'll use a 1.8 prime. I dunno, many articles on Fstoppers recently seem to ask a negative question about new Nikon announcements. We are loving the Z's and the Z lenses. And now a nice wide Z and eye detect coming AND raw freaking video. I'm pleased. "Too expensive" is going be the refrain we will continue to hear about the Z-series lens as they are essentially for a niche camera design as Nikon will not be able to take advantage of the legacy F-mount cameras out there in the untold millions. I own 6 Nikon slr and dslr bodies. Z-mount glass has zero utility to me. The economies-of-scale do not support costs coming down anytime soon. While everyone discusses optics etc, I believe that Nikon has made a huge mistake in lens graphics. They've made their Z lenses look like aftermarket lenses! I love & am a loyal Nikon shooter. I want my lenses to look like genuine Nikon. Bring back the Nikon brand look with a large red Z on a large gold background like the Nano. This is like the mistake saying no one needs full frame, sub-frame is enough. Both are/were huge mistakes. I suggest that many of the negative comments re Z7 are made by people that have never used the camera. By the way I use one and after 4 weeks it has become my go to camera pushing out the 850. It’s not perfect, but so far I have no negative experiences. I love that Nikon is paying attention to keeping the lenses compact and not pandering to people who claim they NEED a lens faster than f4. Truth is that most of the time, shooting in GOOD light, f4 is enough and rarely do I shoot anything critical at f/2.8 or wider. however, I do travel a lot and the difference between a compact lens and a large lens is the difference between bringing it with me and leaving it at home. Having a lens that covers 14-30 and is packable is way more useful than having that extra stop - at least for what I imagine this camera will be used for.